We meet up at the Bræðraborg café in the center of Ísafjörður where we gear up before driving to Hvítanes Peninsula. After about an hour drive we get the kayaks ready for the first leg of today. Seals will be curiously checking us out as we leave shore, swimming around our boats and making big splashes. Most part of the summer you will see Puffins, Guillemots, Arctic Terns, Eiders, and many other sea birds as we approach the island of Vigur. 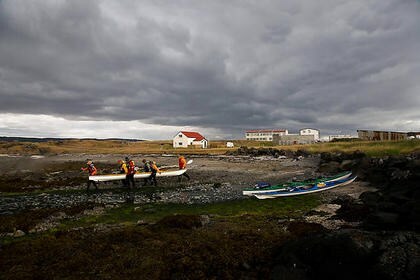 The paddle from Hvitanes is about 5 kilometres to Vigur island, where we go ashore to take a little break from kayaking and enjoy delicious home-made lunch and have a look at the life on the island. 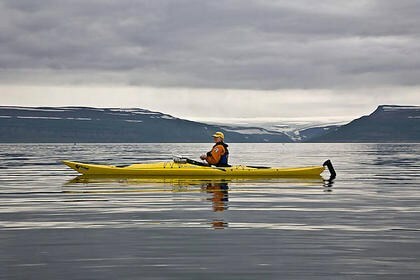 After the lunch stop we’ll get back into our kayaks and paddle around the whole island, looking out for wale spouts before paddling back to Hvitanes again and drive back to town. 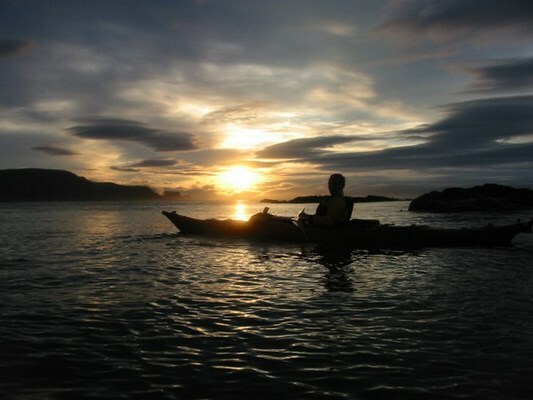 Minimum age: 16 years unless paddling with an experienced paddler in a tandem boat. Warm clothes to wear while paddling. 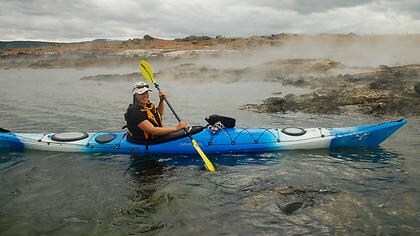 It is recommended you wear wool or fleece bottoms and top underneath the waterproof kayaking clothing. 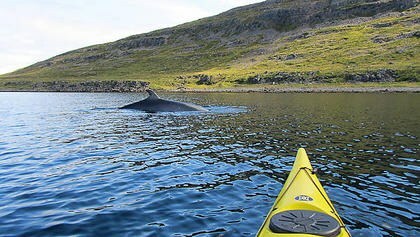 Disclaimer: All sea kayak trips are undertaken on the responsibility of its participants. BOREA & West Tours does not assume any responsibility for accidents which are caused by its customers or can be traced to there own actions. 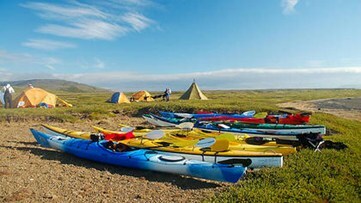 Participants have to sign a waiver before undertaking all trips stating that they realize that all outdoor activities carry an inherit risk.